For the Time magazine, the people of the year were the “guardians” – journalists who risked their lives to tell the truth. One of them was Jamal Khashoggi. He was brutally murdered, heartlessly butchered, allegedly with weapons that included a bone saw when he went to the Saudi embassy in Istanbul, Turkey, on October 2, 2018. Jamal was a well-known critic of the Saudi Prince, Mohammed bin Salman (MBS). Who was the Person of the year for me? It was the 26-year old young man by the name of John Allen Chau. John Chau who? The missionary from America who dared to go to the tribes in the North Sentinel Islands to share about the love of Jesus with them in 2018. We know John Chau lost his life in this noble process. First, John Chau was HOOKED. He was hooked to the mission of reaching the tribals in the North Sentinel Islands – the most dangerous island in the world. He prepared himself for this mission with great passion. “Just months before undertaking the most forbidding journey in his life as a young missionary to a remote Indian Ocean island, John Allen Chau was blindfolded and dropped off on a dirt road in a remote part of Kansas. “After a long walk, he found a mock village in the woods inhabited by missionaries dressed in odd thrift-store clothes, pretending not to understand a word he said. His role was to preach the gospel. The others were supposed to be physically aggressive. Some came at him with fake spears, speaking gibberish. “For Mr. Chau, 26, the boot camp was the culmination of years of meticulous planning that involved linguistics training and studying to become an emergency medical technician, as well as forgoing full-time jobs so he could travel and toughen himself up. “He did it all with the single-minded goal of breaking through to the people of North Sentinel Island, a remote outpost of hunters and gatherers in the Andaman Sea who had shown tremendous hostility to outsiders. “It was an obsession. Ever since Mr. Chau had learned in high school through a missionary website, the Joshua Project, that the North Sentinel people were perhaps the most isolated in the world, he was hooked. Much of what he did the rest of his short life was directed toward this mission. (“John Chau Aced Missionary Boot Camp. Reality Proved To be a Harsher Test.” The New York Times, November 30, 2018). “Countless young Christians, in their youthful exuberance, go through a “stage” of their faith wherein they too desire to reach the unreached with the gospel. Most of these move on to other goals which draw their attention away, but John wasn’t like most people. He held on to his love for the North Sentinelese through college and began taking every opportunity to prepare himself for such a radical calling and purpose for his life even these past few years after college. “Let’s briefly consider how he prepared himself for the rigors of life among a stone age tribe like the North Sentinelese. He chose to study Health, Exercise Science, and Sports Medicine as an undergraduate. He subsequently received wilderness survival EMT certification after graduating from university and became a wilderness emergency medical technician to be prepared for the many emergencies that are an inevitable part of the life he was choosing. At one point he survived a rattlesnake bite. It turns out, John did almost everything a person could do in order to prepare for the life he was choosing by moving to North Sentinel Island. (“A friend's reflection on John Chau’s journey to North Sentinel Island”, Christian Post, December 28, 2018). John Chau was totally hooked to the cause of mission to these totally unreached tribes. Are we hooked to the cause that God has called us to do? If God has called us to be a Tent-making missionary to Gurugram in the National Capital Region, are we hooked to that cause? Second, John Chau not only HOOKED TO THE CAUSE, he refused HOOK-UPS THAT WOULD DISTRACT HIM FROM THE CAUSE. John Chau refused to get into romantic relationships deliberately in the years that ran-up to his fatal mission in 2018. The Quint (28 November 2018) reports “His friend, John Middleton Ramsey, claims Chau was so obsessed with the island that he even avoided “romantic attachments because of his planned mission.” He knew that it would be extremely unfair on his part to fall in love with a girl when he was about to go on a dangerous mission for God. Or, it could be that he knew “the one who takes you to bed, will influence your head”. So, if he married a materialistic girl, there was a good chance she would talk him out of his plans to go as a missionary to North Sentinel Islands. If God has spoken to you about a group of people you have to reach as fulltime missionary or a tent-making missionary (I am sure God would lead every serious believer to one group or many groups to be a missionary – fulltime/tent-making missionary – to them), how have you go about the task of choosing your life partner? If you are single, you must choose someone who is as feverish like you about that mission, like you are! “Can two walk together unless they are agreed?” the Bible asks us in the book of Amos. Marriage is a life-long walk and you must find some agreement about your life goals with the person you will marry. I was very particular that the person I married, would have committed for full-time ministry prior to that person’s romantic interest in me. Evan and I became romantically interested in each other in our mid twenties. But both of us, in different venues, under the influence of different preachers, committed for fulltime ministry when still in our teens! It was because of this very reason, it was not tough for Evan to tell me to stop working in the Corporate World when she knew it was too much for me to do “full time ministry” and still have “full time corporate job” on the long run! “Mr. Chau landed in Port Blair on Oct. 16, 2018, traveled to another island in the Andamans and then returned to Port Blair (He was not a stranger to the Andamans. “In 2015, he made his first of four trips to the Andaman Island chain, basing himself in Port Blair, the main city. The men at the hotel where he usually stayed said he was friendly and always requested the same room: 121, a small single with a good view.” This room was like a two-star hotel room). “There, he holed up for 11 days in a small apartment that he referred to as a “safe house” in a long note that the police found after his death. He wrote that he never saw sunlight that whole time. “The police say he was doing this to avoid being spotted; his friends say he was trying to prevent himself from getting sick to protect the islanders, whose immune systems have been isolated so long that some experts say they could be wiped out by the common cold. “With the help of a local evangelical, Mr. Chau hired five fishermen. Their boat was a battered wooden craft about 30 feet long, with a roof made of bamboo sticks and a plastic tarp. They chugged out the night of Nov. 14, 2018. “When they reached North Sentinel in the morning, Mr. Chau assembled a collapsible kayak because the fishermen refused to go to the island with him, insisting on staying a half mile out. “Mr. Chau saw some islanders on the beach, paddled up to them and tried to preach, saying: “My name is John, I love you and Jesus loves you,” according to the note. They raised their bows and he paddled back to the fishing boat. “A few hours later, he tried walking onto the beach with some gifts like scissors and safety pins. “A boy shot an arrow into a waterproof Bible he was carrying. “Another islander, a man wearing a crown possibly made of flowers, stood on a coral rock and yelled at him. “Mr. Pandya, one of the few anthropologists to have set foot on North Sentinel, said these were clear warnings. “The islanders chased Mr. Chau into the surf. He saw the fishermen far away, standing in the boat, waving their arms up and down, and swam to them. “But the next morning he insisted on sending the fishing boat away, saying in the letter he had met someone in South Africa who went through a similar experience on a different island in the Andamans and won the trust of islanders only after being dropped off by a boat. “The fishermen told the police the next morning that Mr. Chau swam to the island. They then went to the ocean to fish. “When they returned to North Sentinel a day later to check on him, they saw a group of islanders on the beach dragging Mr. Chau’s body with a rope.” (The New York Times, Nov. 30, 2018). John Chau was hooked literally – killed – for the cause of Christ! Apostle Paul wrote, “However, I consider my life worth nothing to me; my only aim is to finish the race and complete the task the Lord Jesus has given me—the task of testifying to the good news of God’s grace” (Acts 20:24). In the next chapter – Acts 21 – five prophets warned Paul not to go to Jerusalem to preach because of persecution they foresaw through the Spirit. And this was Paul’s response: Then Paul answered, “Why are you weeping and breaking my heart? I am ready not only to be bound, but also to die in Jerusalem for the name of the Lord Jesus.” (Acts 21:13). John Chau followed those words of Apostle Paul to the letter! Would we be willing to take risks for the cause of the propagation of the Gospel of Jesus? For example, even now, we have the freedom to propagate any faith in India as per the constitution. So, that means, distributing Gospel tracts is legal in India. Would we be willing to pass out a good Gospel tract to fellow traveller, atleast? Or, will we be super-afraid? With God-enabling us, we at Grabbing the Google Generation from Gehenna Mission have made it a point to have atleast one tract-distribution event (using our Bubbly/Dhoni-wala Gospel tract) per month. Only once, in all these years, we have faced any tinge of opposition. When that came, we quietly moved to another spot nearby to give tracts. And returned to the same place later on, to continue what we came to do! My tract ministry volunteer and friend, Arul Johnson, is particularly daring. If he spots a Policeman, he would give him a gospel tract! I am not that daring! What is the worse thing that can happen to us when we boldly witness for Jesus? We can get killed for the same! So what? That would be “an out of turn promotion” to glory (as Evangelist Rajkumar Ramachandran often says). John Chau is dead but his life speaks like the one the Bible speaks about in Hebrews 11:4. Like Jim Elliot’s missionary martyrdom in the 1960s inspired a wave of missionaries from America in the decades that followed, John Chau’s death in 2018 as a missionary martyr would do the same in a greater way (of this I am sure!). The Hindu Newspaper had his death as one of the events of the year in their 30 Dec 2018 edition. If the secular press rightly remembers the daring adventure of John Chau, how much more should we as believers do so? We must narrate his story to our kids and pump mission blood into them. We must narrate his story to our congregation (If I was a pastor I would do that) so that missionary spirit is pumped into our church members! (Rev. 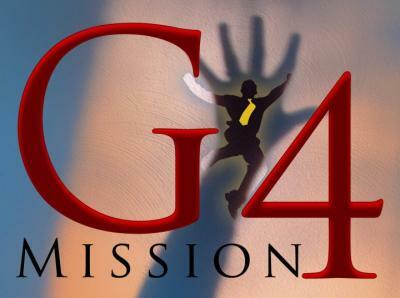 Dr. Duke Jeyaraj is the founder of Grabbing the Google Generation from Gehenna Mission, the G4 Mission. Find out more at www.dukev.org).